My recent trip to southern Africa felt particularly satisfying because of its stark contrasts. After spending time in one of the driest, oldest deserts on earth, we moved on to Victoria Falls, one of the world’s most massive cascades. Going from one extreme to the other made for an unforgettable itinerary. 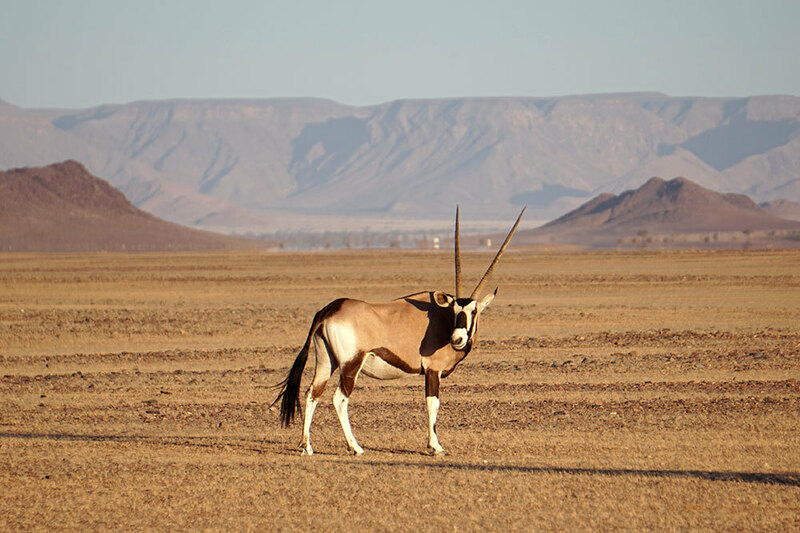 Note that on this trip to Namibia, Zambia and Zimbabwe, we didn’t visit Namibia’s Etosha National Park, because no luxury hideaways have opened there in the recent past. But if seeing big cats is a goal, Etosha is the best place in Namibia to do so, and Ongava Lodge (or Little Ongava) remains the best property at which to stay. In spite of not seeing lions, we certainly felt content observing magnificent desert-adapted elephant, towering giraffe, imposing oryx and quirky ostrich, among other animals. It’s possible to reverse this itinerary, starting at Victoria Falls and finishing in Namibia, but the relaxed pace of the schedule at the falls and the sense of refreshment provided by the water makes it advisable to start in the desert. Johannesburg in South Africa is the major air gateway into the region, although it is possible to find international flights into other cities (one can fly nonstop between Frankfurt and Windhoek, for example). 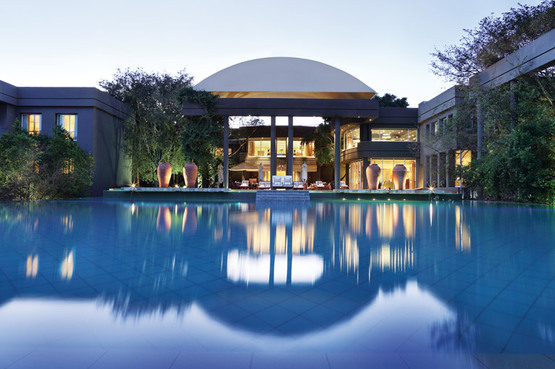 Check in to one of our recommended resorts in Johannesburg, all three of which are approximately the same distance from the airport. Nestled on 10 acres of manicured grounds in the desirable residential suburb of Sandhurst, this elegant boutique hotel was formerly a private mansion. 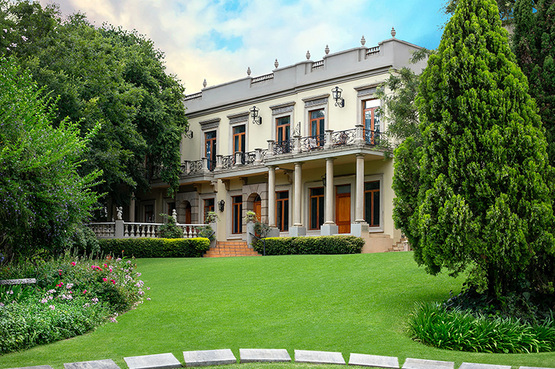 This distinguished neoclassical villa, converted to a hotel in 1997, is surrounded by tranquil, parklike grounds that sweep down to a lovely swimming pool. 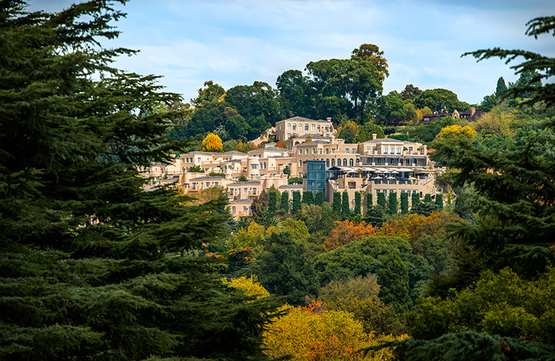 This spectacular urban sanctuary is set on a leafy eight-acre hilltop estate that comprises nine low-rise buildings linked by courtyards and walkways. You could fly to Windhoek today, but I recommend taking a day to relax after the long flight to South Africa. This is a vacation, after all. Your travel adviser or concierge can arrange for an excursion, or simply relax and enjoy your hotel’s spa and gardens. 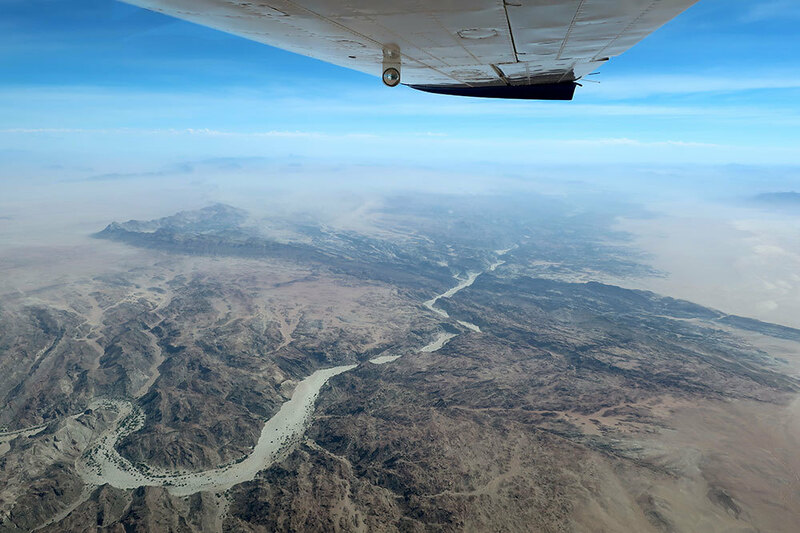 Fly from Johannesburg to Windhoek, Namibia, and connect to a charter flight to the airstrip near Namib-Naukluft National Park. 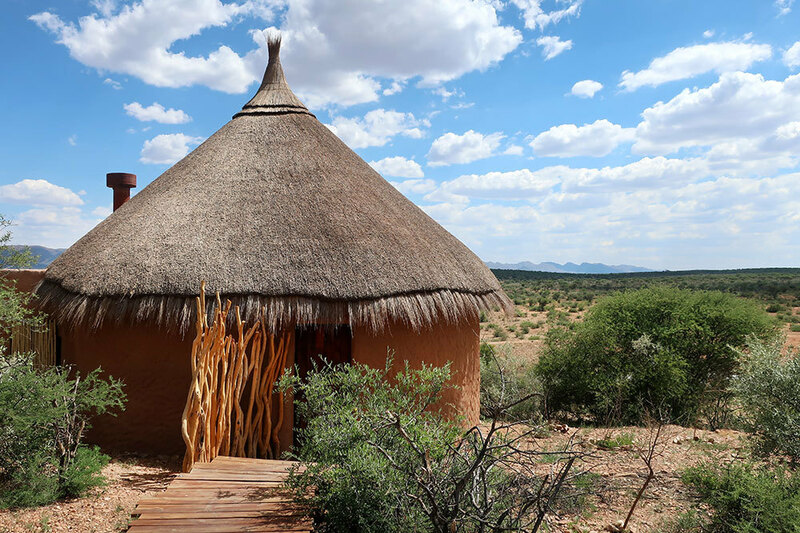 We stayed at Little Kulala, which has comfortable, atmospheric accommodations. But we experienced some service problems there as well as inconsistent food. Once the renovations of the &Beyond Sossusvlei Desert Lodge are complete, I suspect that will be the best place to stay. This evening, take a sundowner drive in the rocky desert bordering the national park, home to oryx and ostrich. 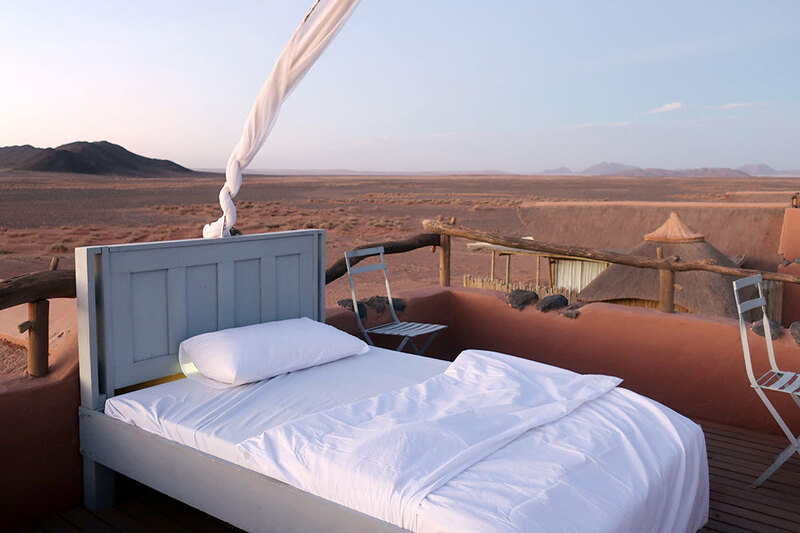 Spend two days on the edge of Namib-Naukluft National Park. The most popular excursion, and rightfully so, is to the Deadvlei, a white clay pan dotted with the sculptural trunks of millennium-old acacia trees, backdropped by red sand dunes and brilliant blue skies. 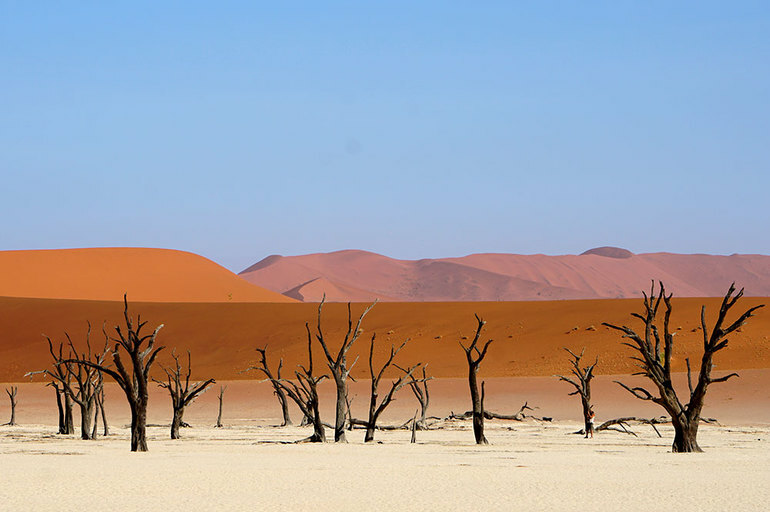 Living trees still eke out an existence in the nearby Sossusvlei. 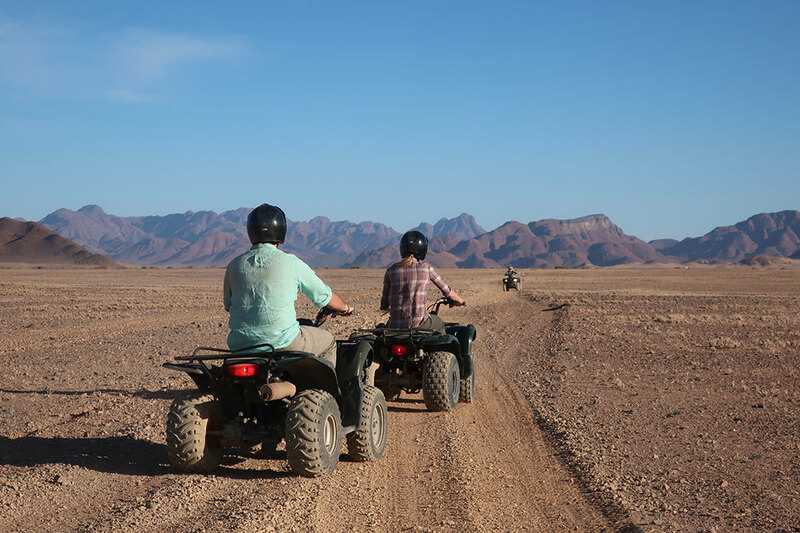 It’s also possible to do quad-bike (ATV) excursions, which are great fun, and drives into unspoiled canyons nearby, some of which contain ancient rock art. Fly via charter plane about three hours north to the Kaokoveld region, passing over a series of sensational landscapes. Burnt-orange dune ridges vein a plain of caramel sand, until they give way to an expanse of blasted rock riven with narrow canyons. Farther on, black mountains stand atop great fans of dry, rust-colored riverbeds. 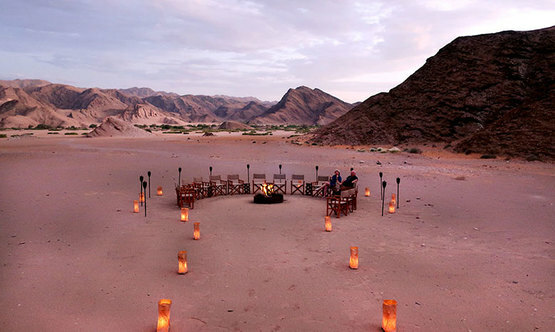 Hoanib Valley Camp is about a two-hour drive away through yet more memorable scenery. I stayed at both this camp and Shipwreck Lodge on the Skeleton Coast, but it’s possible to explore both the valley and the coast from the Hoanib Skeleton Coast Camp, which we also recommend. 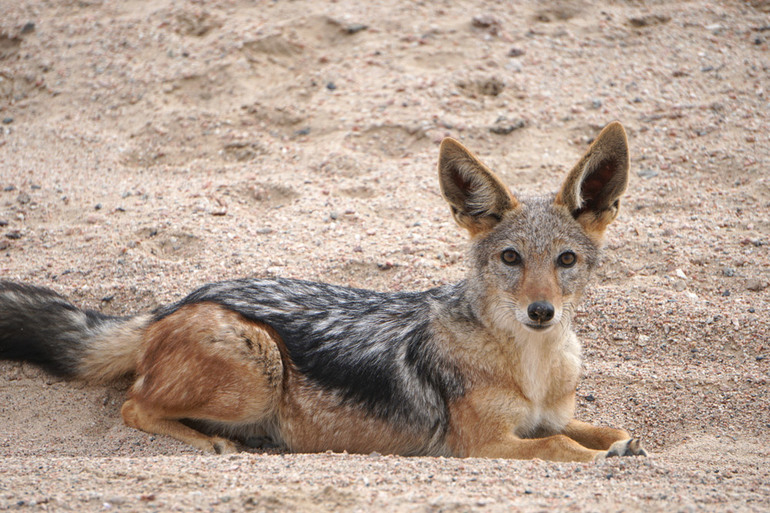 Staying there avoids an instance of having to unpack and repack, but it necessitates some longer drives (the coast is some four hours from Hoanib Skeleton Coast Camp). 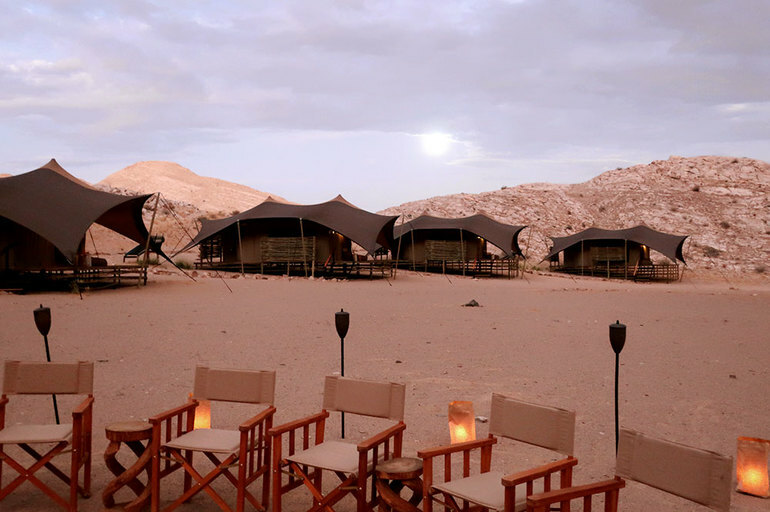 Check into Hoanib Valley Camp, and in the evening, take a sundowner game drive. Hidden behind a narrow break in the rock, this camp has memorable views of its namesake. 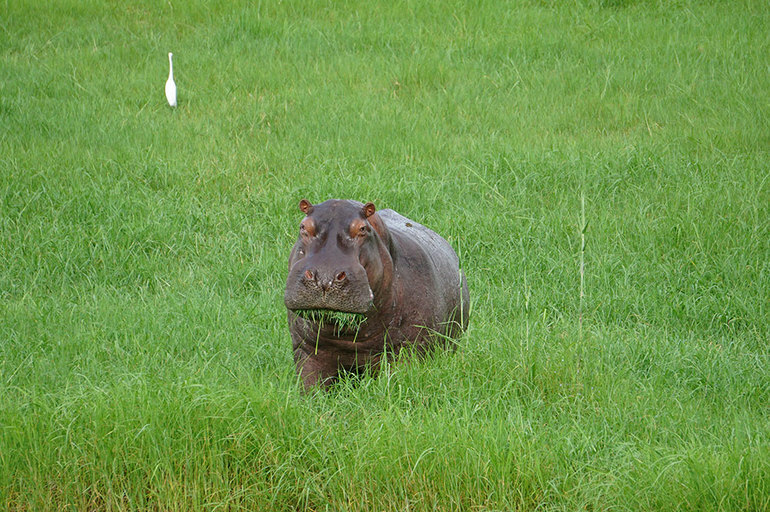 Spend two days exploring the Hoanib Valley, doing memorable game drives and perhaps tracking rhino. 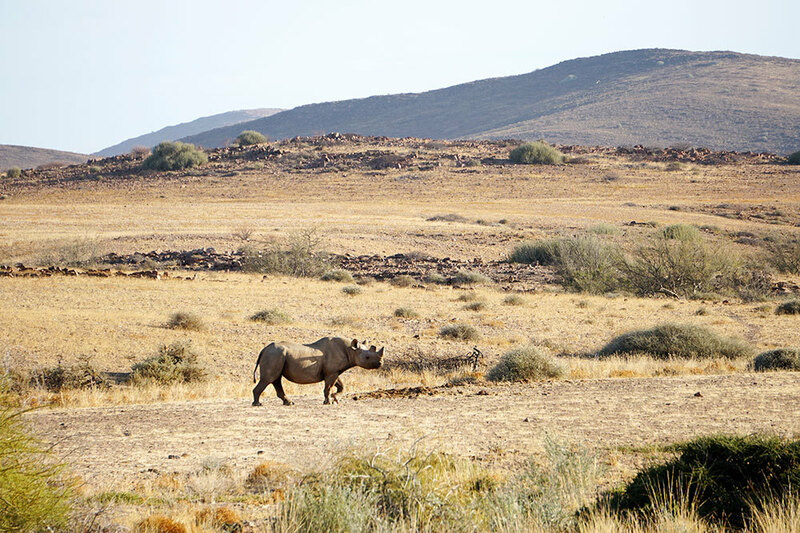 The rhino population in and around the valley is among the last to remain unfenced. It is also likely possible to visit Himba and Herero villages. 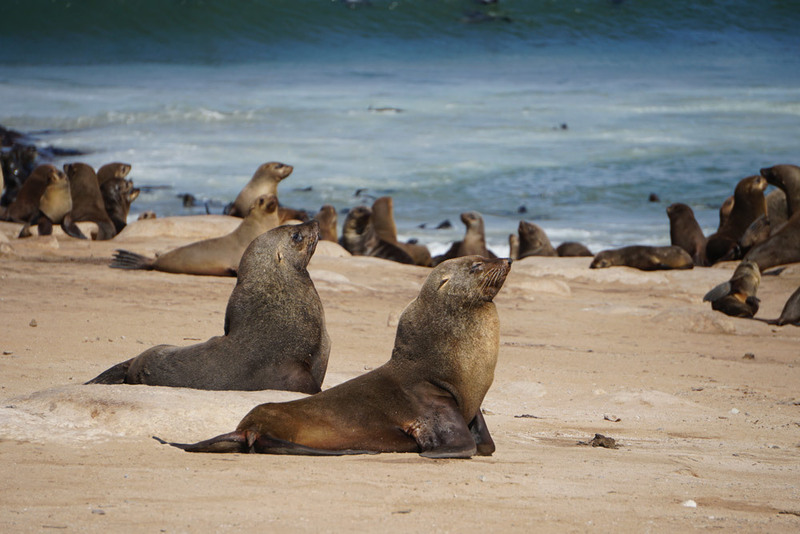 Depart the Hoanib Valley Camp and transfer overland to the Skeleton Coast. 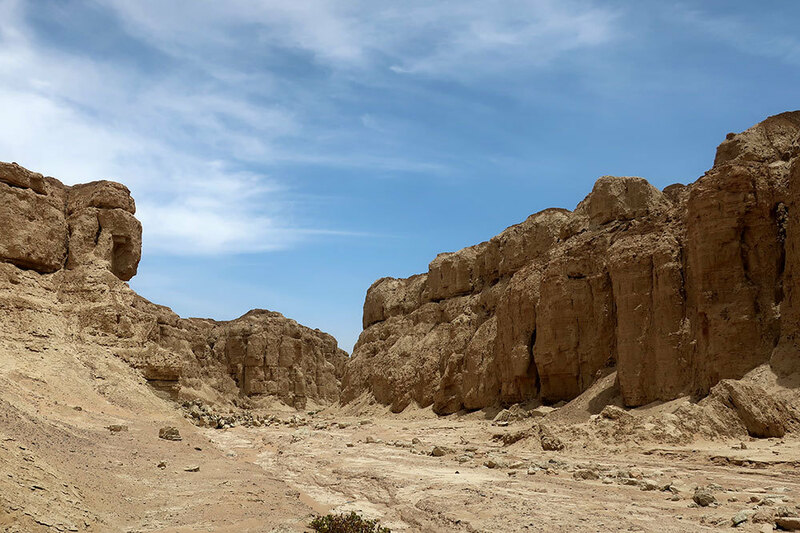 A broad, flat desert separates the Hoanib Valley from the dry riverbed that winds its way to the ocean, and the entire journey takes three to four hours. Stop en route for a light picnic and to visit the picturesque clay castles. These towering formations stand as a reminder that much more water once flowed through the valley. 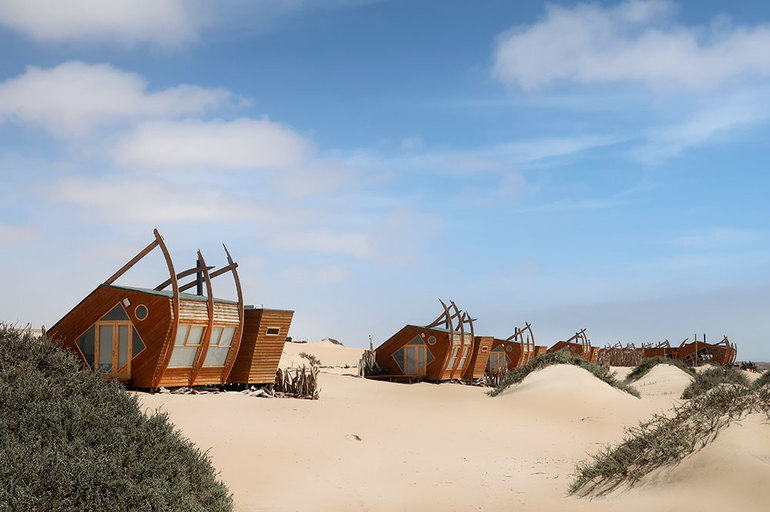 Arrive in the afternoon at Shipwreck Lodge, which, true to its name, looks almost as if it washed up on the dune ridge it occupies. 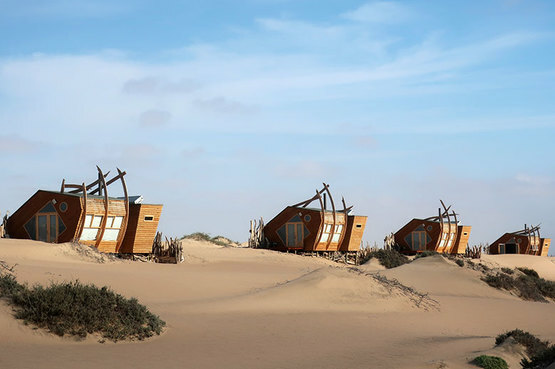 Ragged-edged wooden ribs cradle each of the buildings at this remote lodge, making it appear as if the 10-villa property washed up on the low dune it occupies. Spend a full day at Shipwreck Lodge. Perhaps start with an early-morning desert walk to see the rather fearsome-looking dancing white lady spider and remarkably colorful endemic gecko. 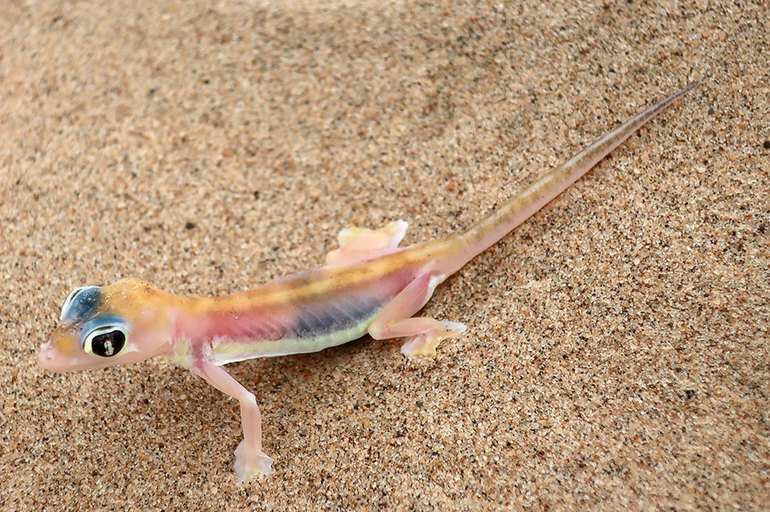 Do some fishing right off the beach if you like — we caught and released three sand sharks — and sit down to a beach barbecue lunch. And in the evening, take ATVs into the dune sea that abuts the lodge. En route to the airstrip, explore two small shipwrecks, a boisterous seal colony and the remains of a plane that crashed in the 1940s. Fly back down to Windhoek, a journey of a little more than two hours. Overnight in town either at The Olive Exclusive or outside the city at Omaanda. We don’t officially recommend these hotels, but either is sufficiently comfortable for a short stay. Fly from Windhoek to Johannesburg, change planes and continue on to Kasane, Botswana. Board a motorboat on the Chobe River, clear immigration at the Namibian border and transfer to the 14-cabin Zambezi Queen. This riverboat makes day excursions along the Chobe, which forms the border between Botswana’s Chobe National Park and Namibia’s Caprivi Strip, returning to the same mooring each evening. Meals and excursions are taken with other passengers, giving the boat something of a house-party feel. Before dinner, take a game-viewing cruise along the Chobe to see elephant, hippo, giraffe, crocodile and numerous species of birds. 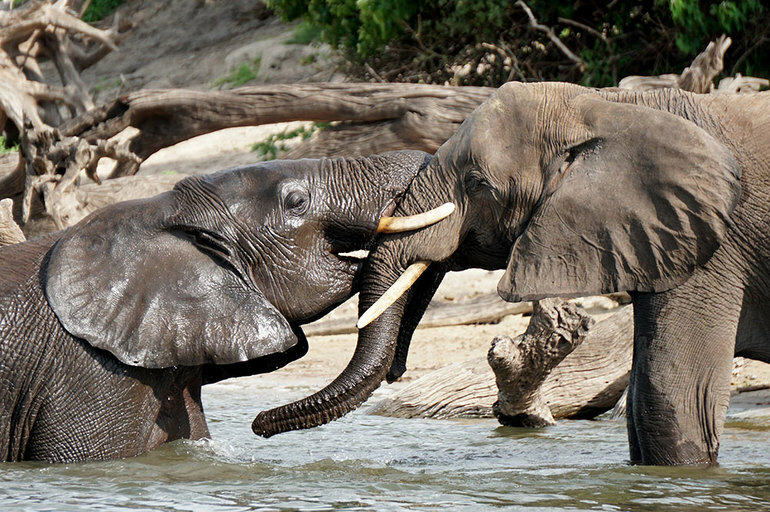 Spend a full day doing excursions from the Zambezi Queen. The ship offers both two- and three-night itineraries, but a two-night stay allows adequate time to explore the region without the activities becoming repetitive. You might start first thing in the morning by casting for tiger fish, followed by a game cruise en route to a Caprivian village. After lunch, another game cruise provides an additional chance to see the remarkable wildlife of the region. Depart the ship, and pass through immigration checkpoints in Namibia, Botswana and finally Zimbabwe. Once in Zimbabwe, the well-paved road to Victoria Falls runs through the vast Zambezi National Park, and it’s entirely possible that you might spot some animals on the edges of the forest. 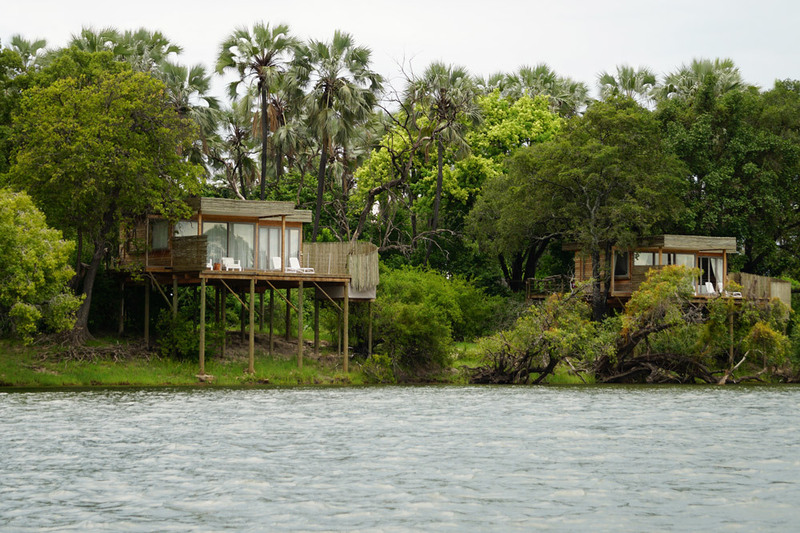 Once you reach the river, board a luxury pontoon boat and cruise to the private island that is home to the Victoria Falls River Lodge Island Treehouses. 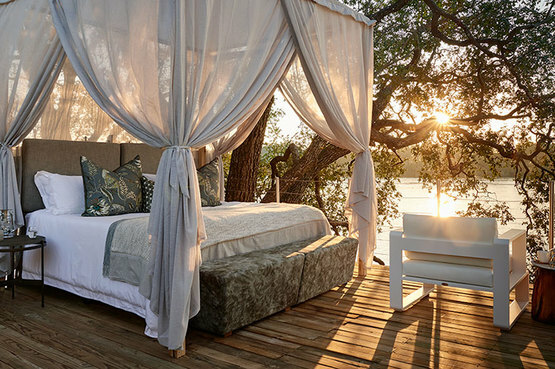 The five-treehouse resort is affiliated with the much larger Victoria Falls River Lodge on the mainland, but it operates as a self-contained property. The only reason to visit the former is to take advantage of the spa, which isn’t at all a bad idea this afternoon. 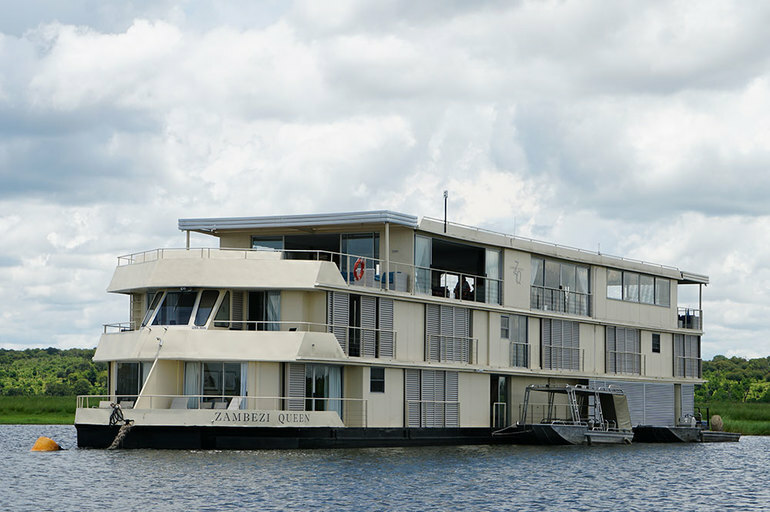 Before dinner, take a sundowner cruise on the Zambezi River. Set within the splendid Zambezi National Park, this five-villa property, affiliated with the larger Victoria Falls River Lodge, operates as its own self-contained resort on a private island. Spend two days exploring the region around Victoria Falls. I recommend visiting the Zambian side of the falls first, followed by a game drive in the compact but game-rich Mosi-oa-Tunya National Park. On the following day, see the Zimbabwe side of Victoria Falls, and in the afternoon, do a game drive in the larger Zambezi National Park, home to rare species such as sable antelope. 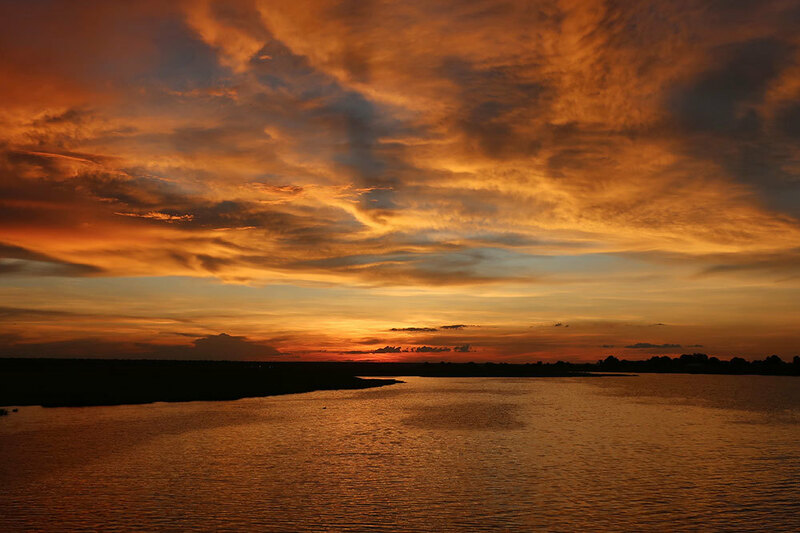 Don’t pass up the opportunity each evening to enjoy a sundowner cruise, during which you’re likely to see numerous birds, hippos and crocodiles. If you have time, a third day would allow for additional activities such as an ultralight flight over the falls and, depending on the season, canoeing or whitewater rafting in the river. 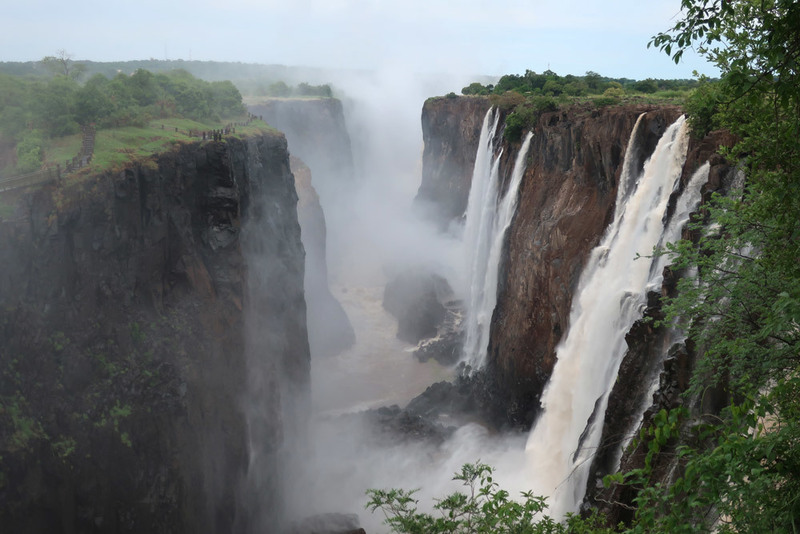 Fly from Zimbabwe’s Victoria Falls airport back to Johannesburg. You may well be able to connect to a flight to the U.S. or Europe, and if you don’t mind an unusually long day of travel, feel free to do so. Otherwise, transfer from the Johannesburg airport to one of our recommended properties in town, or simply walk to the InterContinental hotel at the airport, which is also quite comfortable. 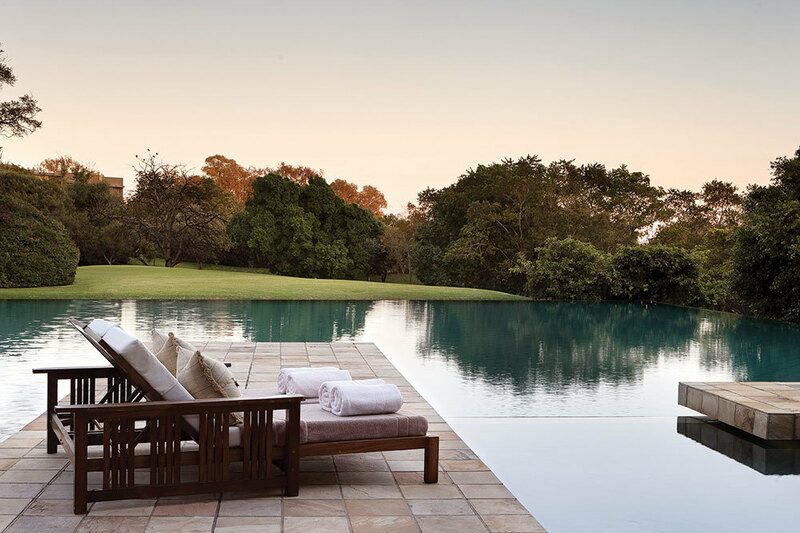 After a relaxed morning in Johannesburg, depart on your flight out of Africa.